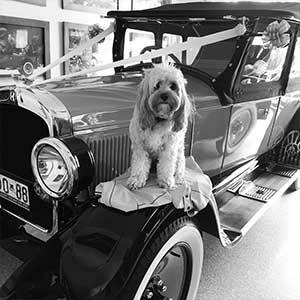 BIRTHDAYS, ANNIVERSARIES, GIRLS NIGHTS', PROPOSALS - WHY NOT MAKE IT A NIGHT TO REMEMBER WITH ONE OF OUR VINTAGE LIMOUSINES! 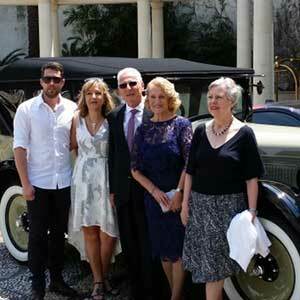 Make a special occasion one to truly remember with Gold Coast Luxury Vintage Car Hire. We supply vehicles for birthdays, anniversaries, girls nights, proposals, in fact any special occasion you can think of! I would like to thank you very much for helping make my mother’s 97th birthday so memorable. With your kindness, helpfulness and sense of fun, everybody, including all the children had a wonderful time. This has created wonderful memories for us all. 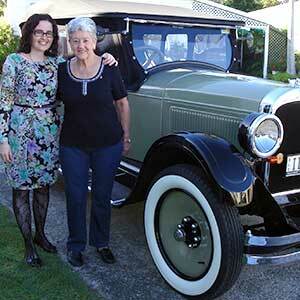 I did not know that mum’s father had a 1927 Hupmobile and it brought back a lot of memories of her childhood in Mackay which we have been hearing about all weekend. I just want to say a huge thank you for making one of the most memorable Birthday’s of my Gran’s life. We will definitely be talking about this day for years to come. It was a good thing that I kept your beautiful (in prestige condition) vintage car a huge secrete as it just made the day that much more special. I could not of asked for more a professional service from you. The complementary bottle of wine just put the icing on the cake (my Gran loves a wine). I’m so happy that I decided to go with Gold Coast Luxury Vintage Cars rather than choosing a Limo, as its far more personal and a lot more stylish. I would not hesitate to recommend you to friends and family, & I’d definitely like to book you again. Thank you so much to John and family for making a very special and memorable 50th Anniversary for my parents. Right from the start the service was amazing nothing was too difficult. The car was immaculate and my parents were treated like royalty, it has definitely given them something to talk about for years to come. 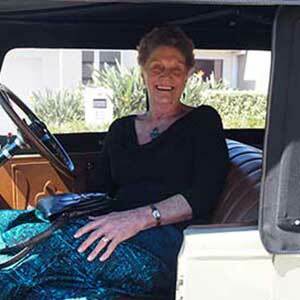 I would not hesitate to recommend Gold Coast Luxury Vintage Car Hire to anyone in the future. Thanks again to you John and your wife. Graham was wonderful and my mother and father and aunties where absolutely surprised, thoroughly enjoyed by all, I would highly recommend your company to everyone. Thank you so much for a super ride in your beautiful car. We had the best time. Mum loved just seeing the car in the driveway and when she eventually realized that it was her transport, it blew her away. The trip to the restaurant was a ‘hoot’. We had the happiest day, something Mum hasn’t had for quite a while. Can’t wait till our next booking !!!!! You helped make a great day the best ….